Motor Vehicle Accident in Marianna :: RickeyStokesNews.com! 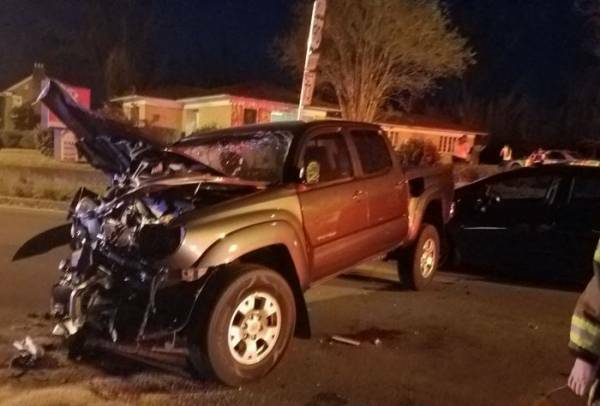 On November 19, 2018 at 4:54 pm, Officers with the Marianna Police Department and Marianna Fire Rescue Units responded to a traffic crash at Lafayette St and Daniels St.
An on scene investigation revealed that a Toyota Tacoma driven by Carl Bailey was traveling east on Lafayette Street when it crossed into the west bound lane. 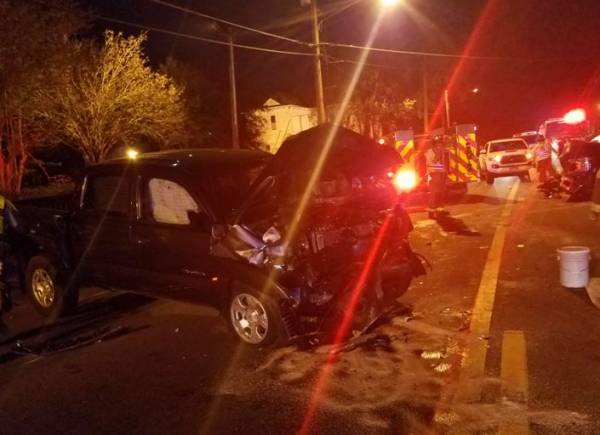 The Toyota collided head on with a Ford F-150 driven by Joshua Cherry. The Toyota spun and the rear of the vehicle landed on the front of a Honda car driven by Shalonda Brown. Carl Bailey was transported to Southeast Medical Center in Dothan, Al with serious injuries. 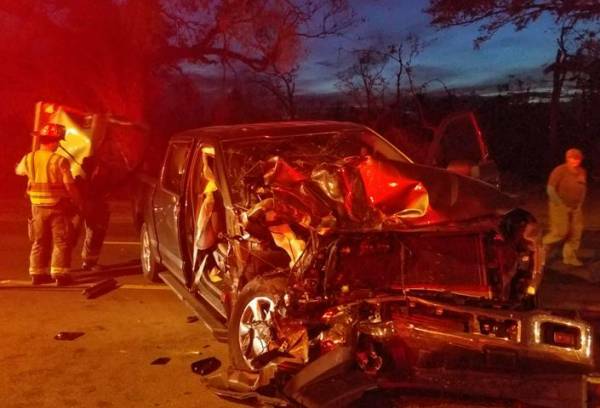 The passenger of the F-150 was transported to Jackson Hospital with serious injuries. Traffic in the area was delayed for approximately 1 hour while emergency personnel investigated the crash and rendered aid to the injured. Chief Baggett urges the citizens of Marianna to report suspicious behavior and activities to the Marianna Police Department at 850-526-3125.